Dr. Scott Elton, MD is a Doctor primarily located in Chapel Hill, NC, with other offices in Raleigh, NC and Wilmington, NC . He has 25 years of experience. His specialties include Neurological Surgery. He speaks English. Dr. Elton has received 1 award. The overall average patient rating of Dr. Scott Elton is Great. Dr. Scott Elton has been rated by 8 patients. From those 8 patients 3 of those left a comment along with their rating. The overall rating for Dr. Scott Elton is 3.9 of 5.0 stars. Great Doc but his NP is horrible she isn't a doc and have no clue on what she's doing. Heck I can study a medical book and know more than her. Dr. Elton is, without a doubt, an extraordinary, skillful surgeon. In my opinion he is a miracle-worker. He is calm and confident, yet honest about the risks and uncertainties of surgery. I am so thankful for him, as he saved my son's life. Extremely poor bedside manner. HORRIBLE surgical skills. We are sorry, it looks like we don't have insurance information. Please call Dr. Scott Elton's office for more information. 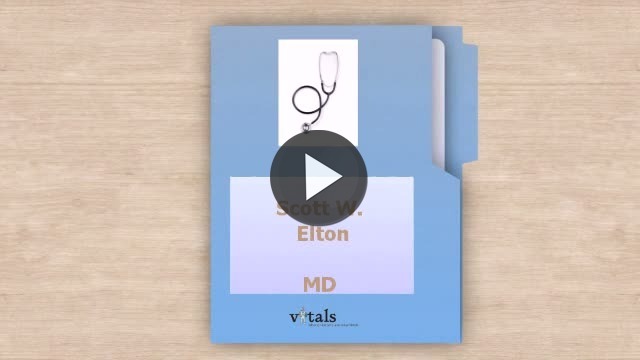 Take a minute to learn about Dr. Scott Elton, MD - Neurological Surgery in Chapel Hill, NC, in this video. Dr. Scott Elton is similar to the following 4 Doctors near Chapel Hill, NC. Have you had a recent visit with Dr. Scott Elton? Select a star to let us know how it was.